Bonnie is a beautiful chocolate Labrador cross girl of 6 years. Dad was a chocolate Labrador and Mum was a small fluffy mixed breed, so Bonnie is a very appealing lightweight girl the size of a small Labrador, and with a soft, medium length chocolate coat. She is a delightfully sweet girl who has known nothing but the shelter her whole life and we are all truly baffled as to why Bonnie has not yet found her forever home. Bonnie is unassuming and submissive and she will win over your heart with her soulful eyes and gentle disposition. Bonnie is a dog who will really thrive in a home environment and absolutely give her all. She gets along well with other dogs, cats and people and she could be homed in almost any family situation, but she prefers a quieter environment and she will be happiest in a peaceful and loving home where she will make somebody a loyal and devoted companion and friend. Bonnie would be in her personal doggie heaven with a warm bed, a comfy lap, love walks and security for the rest of her life. Bonnie is not a high energy girl, she is not noisy or destructive, she can be left for a few hours without any trouble and she is a good traveller. Bonnie is microchipped, spayed, vaccinated, fully health checked, up to date with flea and worm treatments and comes with her own passport for international jet setting. She has no known health issues. If you are interested in adopting Bonnie please get in touch with us through this website. The adoption fee is £275 and we require an application form and home check. Home checks are done through a national network of rescue volunteers and usually do not take more than a few days to arrange. Angel’s Kiss works with British rescue partners in Spain to help save some of the most neglected and abused dogs in Europe. 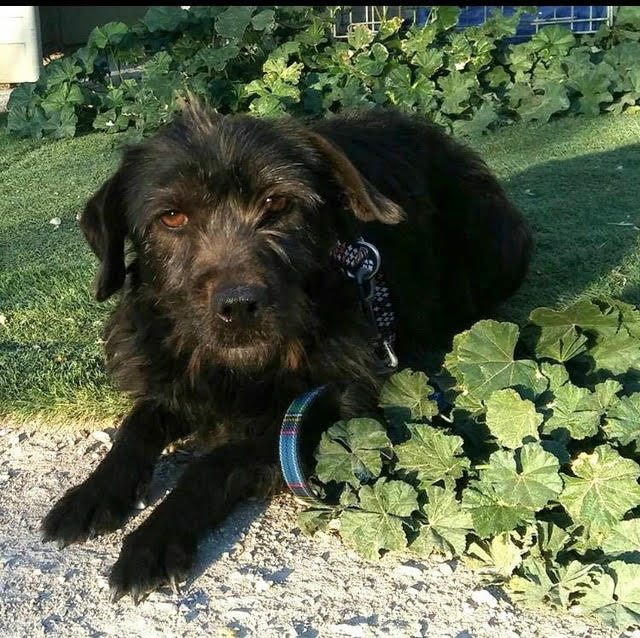 Some of our dogs are in the UK but Bonnie is still in the shelter in Spain where she has been fully assessed for health and behaviour and is due to travel to the UK at the beginning of April. 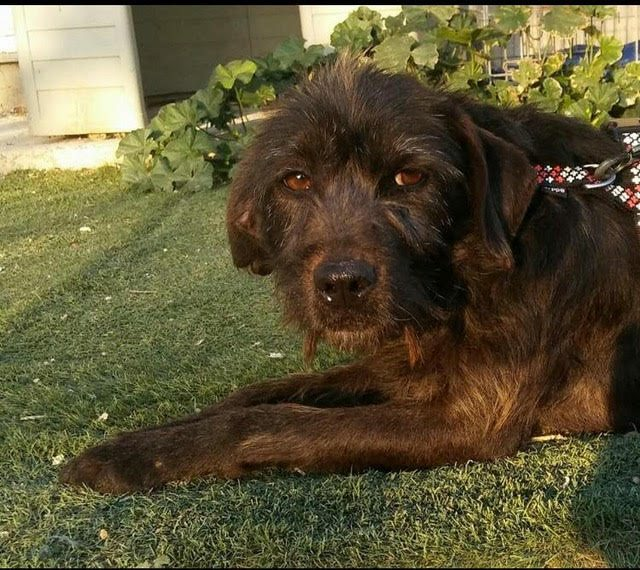 We are looking for an adopter before Bonnie arrives from Spain. 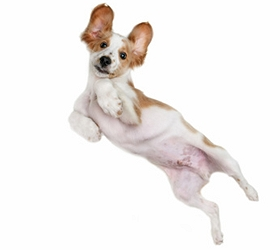 Videos with other dogs and cats can be seen on request. Angel’s Kiss homes dogs throughout the UK and Bonnie could travel direct to your home. We handle all the paperwork and import procedures and we give full post adoption backup support.